Seaside towns, by which we principally mean coastal settlements that emerged as leisure and pleasure resorts in the nineteenth century, have been neglected for too long. They should once again be celebrated as places that can provide attractive environments for residents and visitors alike. Seaside towns do suffer from a set of issues that have their roots in the decline of their core industries. Domestic tourism is the iconic example, but fishing, shipbuilding and port activities have all been in long term decline. What makes these areas distinct is the combination of industrial decline and geography. Their location on the periphery of the country places them on the periphery of the economy, bringing consequential social problems. This combination of challenges warrants dedicated attention and support. We acknowledge that seaside towns are in different stages of evolution, with variations in factors such as levels of local leadership, governance structures, resources and infrastructure. Our recommendations reflect this, avoiding ‘one size fits all’ solutions. Seaside towns must be inspired to regain their pioneering spirit and evolve to meet present day and future challenges. We are convinced that they can reinvent themselves with a long-term, place-based vision—a comprehensive approach that involves working with a range of partners to address multiple causes of social problem in a locality—that is supported by local leaders and grounded in each town’s unique assets. Many seaside towns still rely on tourism as a key economic activity. Some areas, however, will need to diversify their local economies. Improvements to transport will be vital in supporting further economic development in seaside towns. Improving digital infrastructure in coastal areas should also be considered a top priority, helping to compensate for these towns’ relative isolation, and enhancing their potential role in supporting a good work-life balance by enabling people to work from home and enjoy the delights of the seaside. Issues relating to housing are strongly linked to considerable and persistent disadvantages for coastal communities. These systemic problems must be addressed by the Government in partnership with local leadership. Interventions in housing should aim at supporting place-based regeneration. A sustained, long-term effort is required to address the impact of transience on coastal towns. Young people in seaside towns are being let down and left behind by poor standards in existing provision, limited access to educational institutions and a lack of employment opportunities, resulting in low levels of aspiration. Partnership work between schools, FE and HE institutions, and local business and industry will be vital in helping to create career paths, improve local skills levels and boost local economies. To this end, good teachers must be prized. Investment from central government must be focused on supporting sustainable, long-term regeneration, not piecemeal, short term initiatives. Local authorities, alongside business and community leaders, have a crucial role to play in providing vision, leadership and enforcement, enabling partnerships, and setting a favourable planning environment. Local Enterprise Partnerships have a clear role and responsibility to support seaside regeneration where it is most needed. 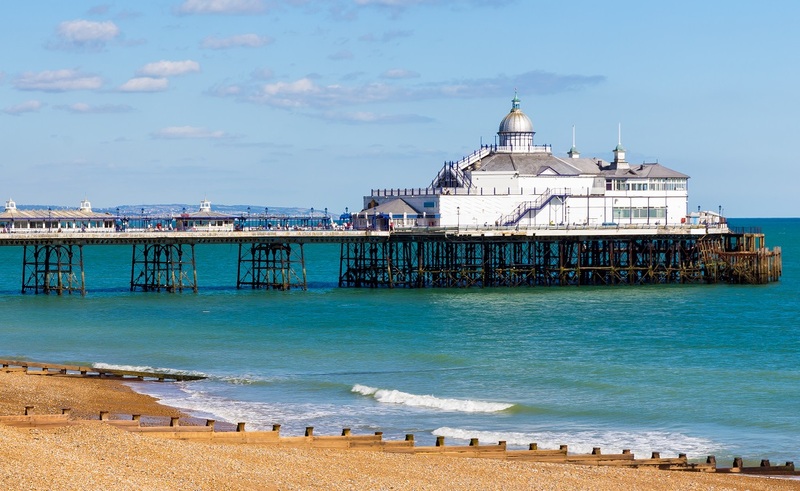 Seaside towns have the potential to contribute to national priorities around increasing productivity. LEPs can and should help depressed seaside towns to build their vision through Local Industrial Strategies. The realisation of the potential of our seaside towns rests on tenacity, persistence and a sustained, long term focus from a multiplicity of actors. We do not claim that all the, often deep-rooted and complex, challenges affecting seaside towns can be solved immediately. However, we believe that if our recommendations are pursued, many more struggling places can be set on a trajectory to regeneration. More of our seaside towns can again become prosperous and desirable places to live in and visit.